Over the past few years there have been several new, innovative ways to get around without owning a car. If cabs are still your preferred methods of transportation but you can’t always justify the splurge on costly rides, Zimride may be of value to you. Zimride has been around for a few years, but the company just came out with a new product called Lyft, an app that is still in beta. With the app, you can immediately request a driver and get a ride anywhere in the city for a price cheaper than or equal to that of a cab. It’s a great way to make some cash if you’re driving somewhere alone and wouldn’t mind offering up your passenger seat, and it also sounds like a great way to meet new people in your area. The company is still facing obstacles in regard to competition with government-based cab companies, so right now it is operating primarily through donations and reimbursements. According to co-founder John Zimmer, any transaction above and beyond a reimbursement is considered a donation. The company has set up an algorithm to calculate recommended donations based on time and distance, but in the end, the total price is still determined by the users and Zimride gets a 20% cut. When choosing drivers, Zimride puts applicants through a process that investigates driving history, car inspections, and criminal checks, so it’s less risky than it may sound. The company is actually three separate businesses, with each one funding the next. The first is university-based, charging colleges for providing ride-sharing programs in their school. The second is for long-distance ride sharing, such as from San Francisco to Los Angeles. 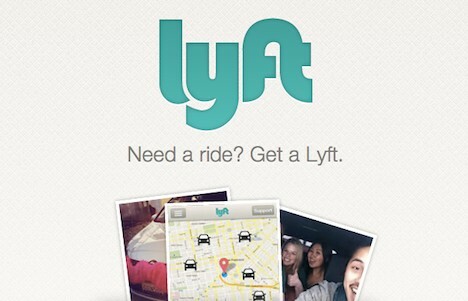 There are a number of competitors for Lyft, such as Uber. If word gets out and regular travelers realize it’s an easy way to fill empty car seats and make some cash, it will probably catch on. I like this idea because it involves everyday drivers and should be much safer (and more legal) than hitchhiking. Would you get in a Zimride car if it was cheaper than a cab and just as convenient?